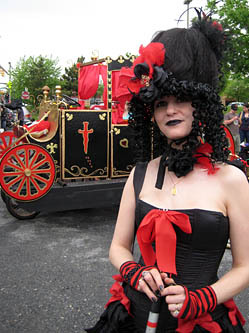 This gothic rendition of the Cinderella fairy tale won the prestigious Art award, and wowed the crowd along the entire course. 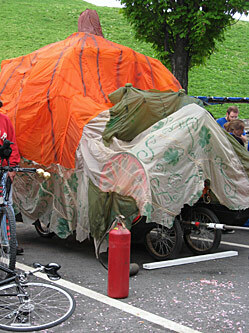 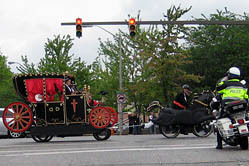 Before the start, Happily Never After was fashioned as a giant pumpkin, until a Fairy Gothmother used her magic wand and transformed into a coach with two black horses with a great cloud of white smoke. 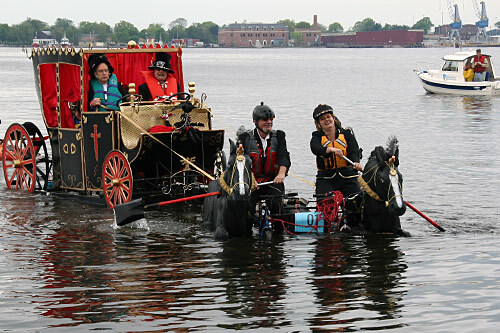 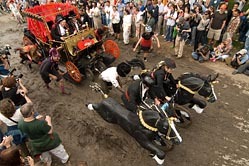 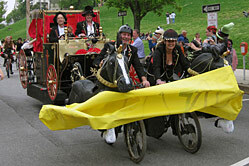 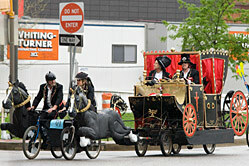 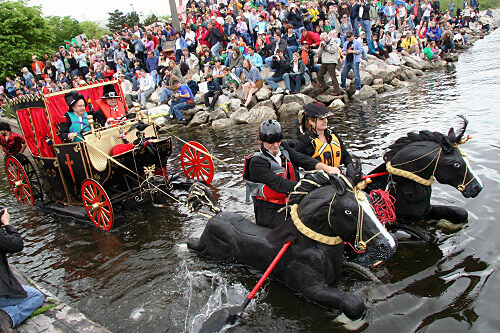 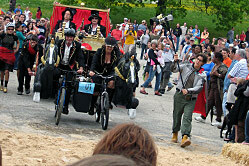 Clad in black crowns and corsets, their pilots propelled the magic carriage on the water with paddlewheels and shovels. 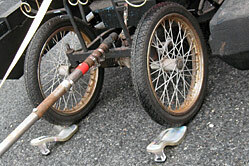 The foundation of their sculpture was a mid-20th century Italian 4-seater surrey bike, which seemed a great start until they discovered that to match its unusual specifications they needed to import additional parts from Italy to bring it up to racing condition. 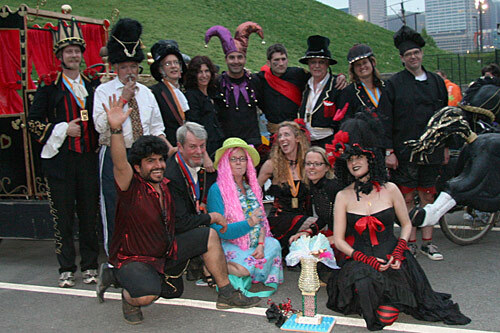 The veteran Make Believers team has been entering every year since 2002, and has won numerous awards for their spectacular entries.